Have you downloaded our app on Google Play? 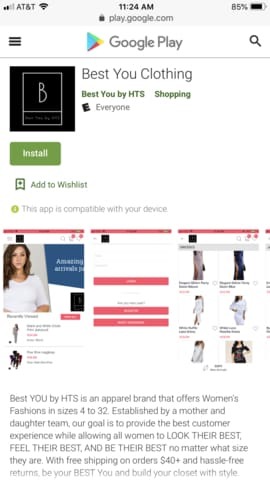 We have just made it easier to shop our items on your Android phone or tablet. When shopping for curvy women's clothing online you can save items to your wishlist or buy directly. You can also save your information in your account for a faster checkout. Don't miss another moment of this easy shopping experience.